Finally Huawei launched Honor 9 Lite in India, which is second phone from company comes with 4 cameras. It will go on sale via flipkart exclusively, where first flash sale is on 21st January. It comes in 2 variants on the basis of storage. 3 GB RAM variant is priced at Rs. 10999 while 4 GB RAM variants is priced at Rs. 14999/-. If we talk about highlights. it comes with dual front and dual back camera, 2.5D glass on front and back, Android 8.0 Oreo OS out of the box. Honor 9 lite is powered by octa-core HiSilicon Kirin 659 processor coupled with 3 GB RAM and 4 GB RAM. Here 3 GB RAM variant comes with 32 GB internal storage, while 4 GB RAM variant comes with 64 GB internal storage. Storage of Honor 9 Lite is further expandable up to 256 GB via micro SD card. This is a dual SIM smartphone, where second SIM slot is hybrid. Phone is running on EMUI 8.0 user interface over Android 8.0 Oreo out of the box. Camera setup of the phone is same on front and back, where 13 MP is main camera sensor and secondary camera sensor is of 2 MP. Back camera is coming with LED flash and phase detection auto focus. The new Honor 9 lite comes with 5.65 inch full-HD+ IPS display with aspect ratio of 18:9. Resolution of this display is 1080×2160 pixels. 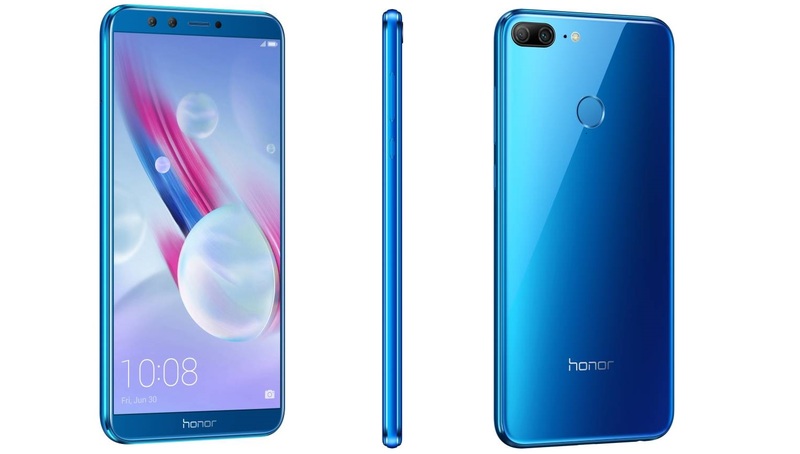 Honor 9 lite will become available in Sapphire Blue, Midnight Black, and Glacial Grey colour variants. Honor 9 Lite also features accelerometer, ambient light sensor, magnetometer (digital compass), and proximity sensor. Connectivity options of Honor 9 Lite are Bluetooth, Wi-Fi 802.11 b/g/n, 4G VoLTE, GPS/ A-GPS, Micro-USB with OTG support and a 3.5mm audio jack. Phone is backed by 3000 mAh battery, which is little bit small compare to other devices at this price point. At this price point Honor 9 Lite is offering very good features. We can say this budget killer device. 3 GB RAM variant of this phone is worth buying, while 4 GB RAM variant is priced higher. Comparing both variants acceptable price for Honor 9 Lite is 12999/-. We don’t have any other device at this price point, which offers 4 cameras.